Watercress is a Brassicaceae, which means it’s in the same botanical family as broccoli and cabbage. Unlike many of its cruciferous cousins, however, watercress prefers to set roots in a watery environment rather than solid, dry ground. Most people are familiar with fresh watercress as sandwich bedding, but the dried herb offers peppery flavor enhancement for soups, stews and other cooked foods. It is also nutritious, providing a boat load of calcium, iron and vitamin C. Dried watercress can also be added to tea blends, while the powdered herb may be encapsulated as a dietary supplement. Nasturtium officinale is a member of the Brassicaceae family. This aquatic, hardy perennial has hollow, succulent, branching stems from 1-2 feet. The floating, trailing stems and foliage of watercress may grow to 32 inches long, but usually only the top 4-6 inches of the plant are visible above the water’s surface. These creeping (or floating) stems will root easily and bear shiny, fleshy, heart-shaped leaves. Watercress leaves range in color from very dark green to a brownish green or bronze; they have a distinctive bitter taste. These mostly glabrous (hairless), petiolate leaves are oval shaped or pinnately divided, with narrow lateral lobes and a wider lobe at the top of each leaf. Clusters of small white to purplish white flowers appear at the tips of the plant's stems from early summer to mid-autumn. Watercress' flowers are characteristically mustardlike. Their clusters form on terminal stalks that arise from the upper leaf axils, each with four petals. The fruits each contain two rows of tiny seeds and are linear capsules ½ to 1 inch in length. Common name of watercress is in reference to the plant’s affinity for growing in water or very wet soil. 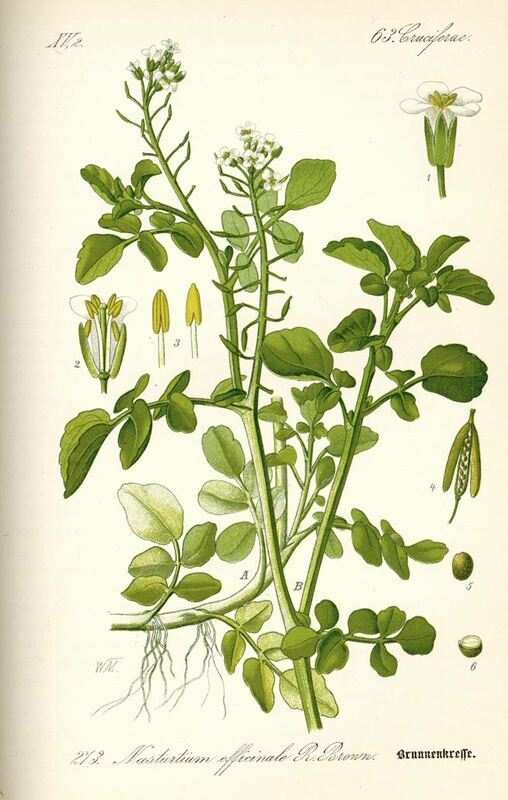 Nasturtium officinale, known as watercress, is native to Europe and Asia. Watercress is a semi-aquatic plant that is frequently found growing around the headwaters of chalk streams. Due to its semi-aquatic nature it is well-suited to hydroponic cultivation, preferring slightly alkaline water. Does best in sun. The watercress plant is easily cultivated under the correct conditions of slowly flowing clean water, preferably coming from chalky or limestone soils. Being semi-aquatic it can grow in water or on wet soils. Since virtually any part of the plant will form roots if detached from the parent plant—including a single leaf—cuttings can be taken at any time in the growing season. Place cuttings in a container of water until the roots are well formed and then plant out in shallow water. 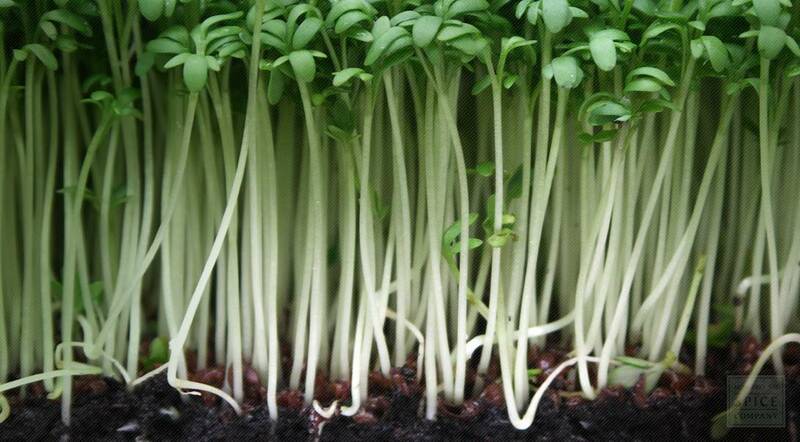 Watercress can also be cultivated via seed. The leaves can be harvested throughout the year and are used fresh, or dried for later use. Store dried watercress pieces and dried powdered watercress in an airtight container in a cool, dry place.